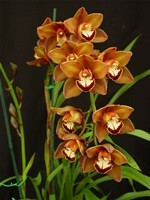 One of the finest flowers to come from the Cymbidium Mighty Mouse line of breeding. 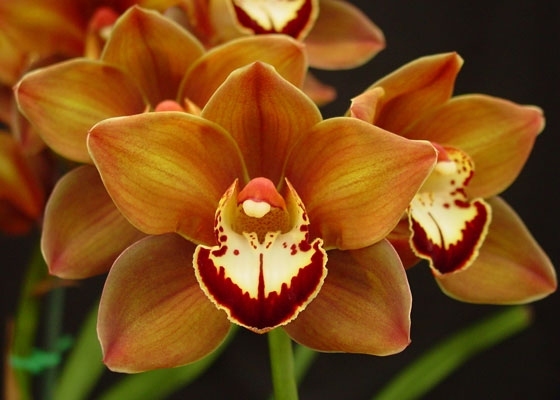 The flowers are bronze-brown. The cream lip has a contrasting, deep red bar across it.Cool growing. February blooming.